CORNER LOT Great Location! 1/2 ACRE fully fenced, 5000 sq foot building 2x6 frame with plywood and metal construction, concrete floor. 3 PHASE POWER, infloor and radiant heating system. Bay 1 -2,000 sq ft with office area, living quarter above office with 3 pc bath plus 2 pc in shop area. A/C in office and living quarters. 14' and 10' overhead doors. 17.5 ceiling height. 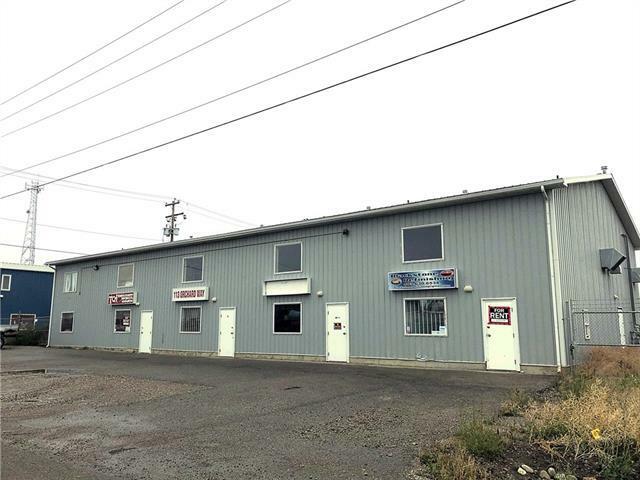 Bay 2 - 1000 sq ft. 12' overhead door, front office, exhaust system upper mezzanine above office, 2 pc bathroom. 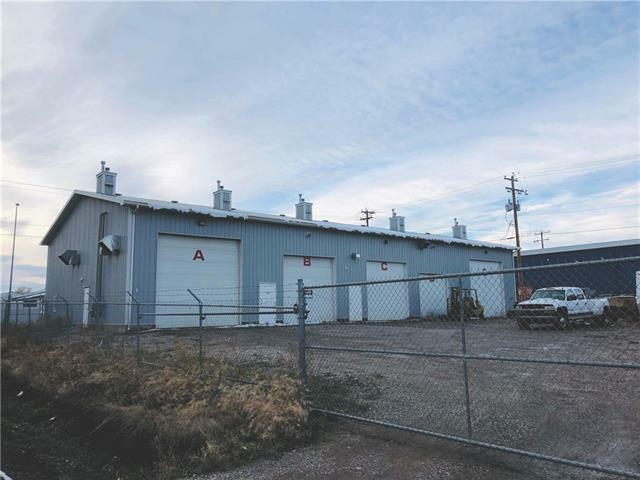 Bay 3 - 1000 sq ft. 12' overhead door, front office, upper mezzanine above office, 2 pc bathroom. Bay 4 - 1000 sq ft. 14' overhead door, front office, corner exposure,2 pc bathroom. Mezzanine above office. Originally built with the option to remove all inside walls to convert into a LARGE 5,000 sq ft space if desired. Pavement in front of building, graveled in back ,chain link fence. 2 Sheds included. Metal roof was rescrewed in 2017. Great potential at busy industrial area of Strathmore. South of #1 Highway.90 day Possession.